Catamaran construction techniques have evolved over time. Boats are now built with some type of coring in their hulls and decks to reduce weight (weight= material cost) and improve performance. While newer boats do perform better because of the use of coring, they have a whole set of construction issues which develop because of it. 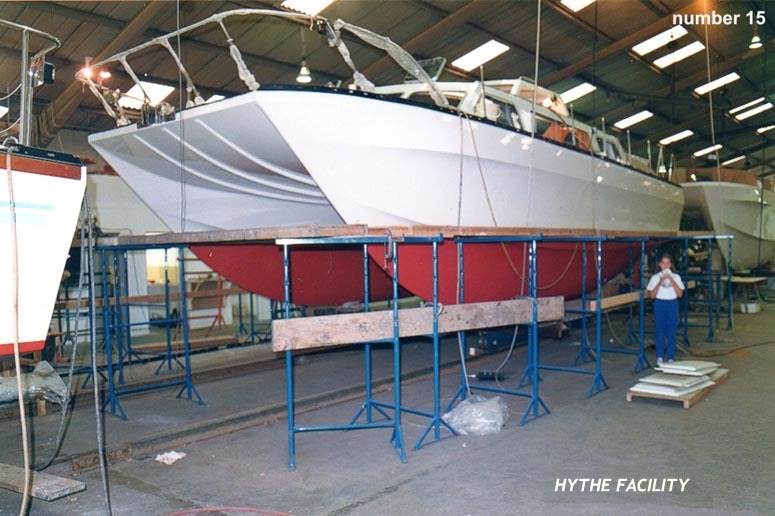 When a prospective buyer considers the purchase of a cored hull boat he must understand that any used boat which was designed and constructed with coring material has to be carefully examined before the purchase. If not properly cared for, cored decks and hulls are subject to water ingress over time which unavoidably leads to glass layers delaminating as they separate from the coring material. Some boat owners are meticulous with regular schedules of hardware bedding on the boat.... and others are not. Boat Broker docks are full of cored hull boats with delaminating issues, and surveyors have been known to miss it. Catalac Catamaran construction techniques avoid this entire issue as the boats were built with double thickness solid fiberglass hulls (I tell people they are built like a battleship). Take just one look at these older boats and it's evident they are built to last. 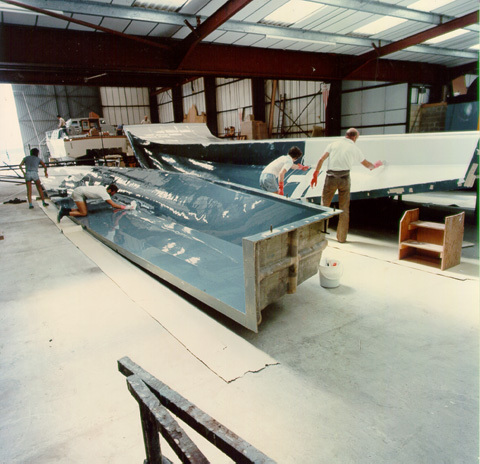 I think you would have to look at a few older (and in some cases newer) Catamarans from different builders to really appreciate a Catalac's build quality. The message here is that unless you plan on spending $350k-$1.2 million to purchase a brand new boat, catamaran hull construction techniques should be your number one consideration when selecting a Cruising Catamaran. 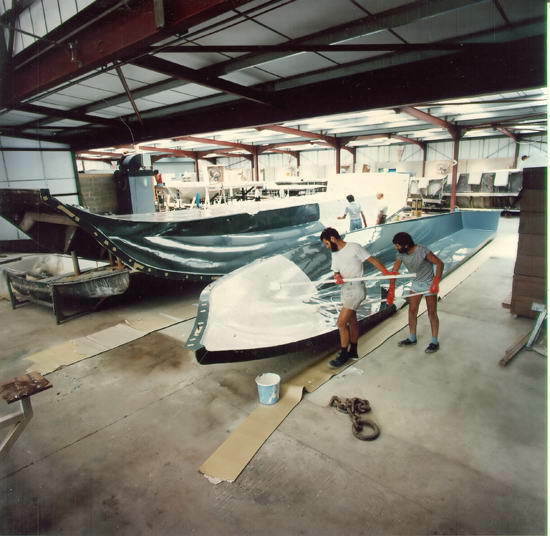 If you take a look at these construction photos you'll notice that the cabin, cockpit and bridge deck are one piece, an early innovation which is the strength of these boats. The hulls are solid glass and only the foredeck is balsa cored. 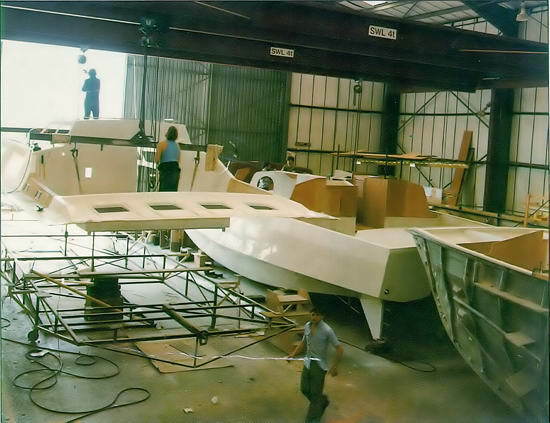 The boats have two 3/4 inch plywood bulkheads installed which tie the hulls together, and then the cabin/deck/cockpit (another one piece mould) is installed to complete the assembly. 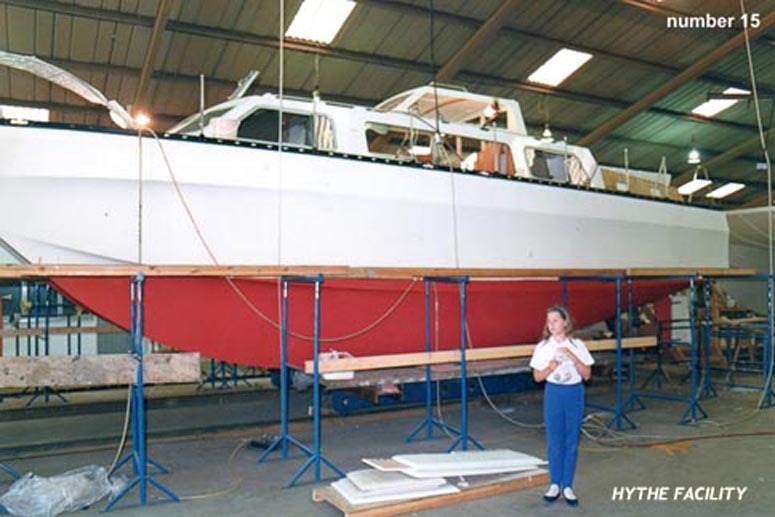 With Catamarans, there has always been a concern over tightening the stays. Over tighten Port and Starboard lower and upper stays and in time your boat's two hulls begin to pull up, bending the boat in the center. Tom Lack came up with a solid method of preventing this using the forward bulkheads. The chain plates pass through the roof and are anchored to 1/4" metal plates which are in turn anchored solidly into the forward bulkhead. You can see the chain plate brackets in the interior photos in the brochures provided in each individual boat page. When tightening rigging stays, tension is applied only to these bulkheads and never to the hulls. In my opinion, this is an additional terrific design benefit. Over tightening rigging can never warp a hull on a Catalac.